I found out about Adopt a Path through volunteering with Loch Lomond and the Trossachs National Park. I am a volunteer ranger and also take part in many different conservation projects including survey work, footpath maintenance, removal of invasive non-native species, tree planting and running activities for children. I attended an Adopt a Path training day in Balmaha where I met my fellow volunteers and learned a lot more about what was required. 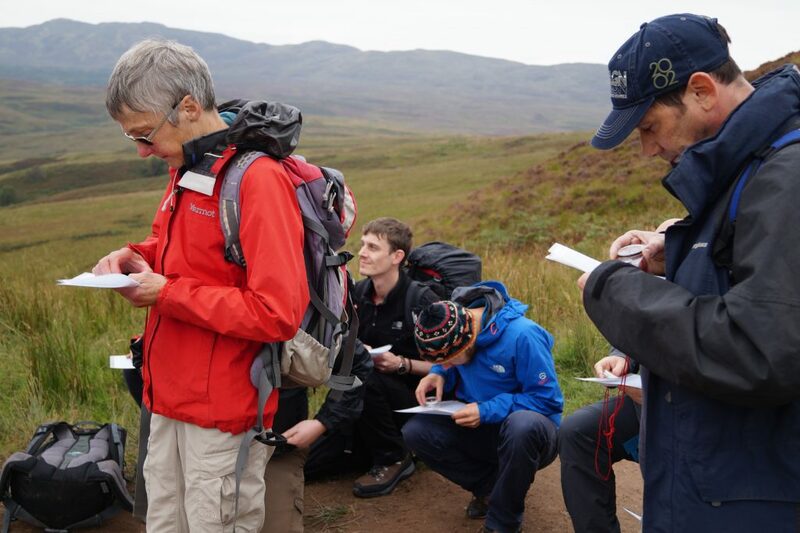 After a brief introduction to the scheme we went out onto Conic Hill to ensure that we were up to speed with our navigation skills. I was at a considerable advantage here because I know the area very well. Although it was rather a grim day there were still droves of people going up and down the hill and it was easy to see why the path is so eroded despite the fact that a huge amount of work was done on it not too long ago. After lunch we learnt how to recognise common path problems and once again went up Conic Hill to gain some first-hand experience of identifying blocked drainage features such as ditches, culverts, cross drains and water bars. We also looked at damage to path surfaces, whether caused by surface water or trampling feet. Another major problem is path widening, often caused by people trying to avoid a boggy stretch of path or cutting corners. Indoors once again we reviewed the safety procedures to be followed while undertaking the surveys and also how to use the Adopt a Path website for reporting problems. Once I had been allocated the path up Ben Venue from Loch Achray I was really looking forward to getting out and doing my autumn survey. I had to wait a little while for a day that promised some reasonable weather to undertake the survey as I thought that it would be difficult to take good photos and fill in the paperwork if it was very wet and windy. I really enjoyed doing the survey although it took a lot longer than I anticipated. There were quite a lot of problems that needed to be logged and lots of photos to be taken. It will be interesting to see how the path has fared over the winter when I undertake my Spring survey.